Don't run the risks of chemicals or drugs ... keep it natural. These plant extract tinctures were created by Dr Paul Dettloff, Senior Consulting veterinarian for 1400 Organic Valley Cooperative dairies in the USA. He wanted to find ways of helping sick cows get healthy without using synthetic antibiotics. Traditionally, we sought the naturally occurring biochemicals in plants to help us heal. Modern biochemistry is demonstrating that there are powerful, natural compounds in plants that do pretty much what old time healers said they do – stimulate our bodies to heal. Most skin care products these days have unnatural chemicals and lots of water in them. Often at times they are simply moisturising without actually nourishing our skin. Our skin is an important organ in our body and needs good nutrition from inside AND the outside to heal itself. 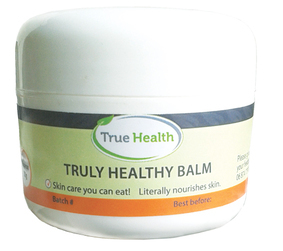 Truly Healthy Balm is unique in that it follows the time-honoured recipe of traditional skin balms from before the use of chemicals and the present emphasis on vegetable or seed based oils. Truly Healthy Balm is made from the highest quality beef tallow – bright yellow and brimming with natural Vitamins A, D and K.
The brighter the yellow of the tallow, the higher it’s content of healing fat soluble Vitamins A, D and K which is just what your skin needs to heal quickly and stay moisturised longer. The animals that produced this healing tallow for you were Jersey steers raised on my biological farm in Hawke's Bay. 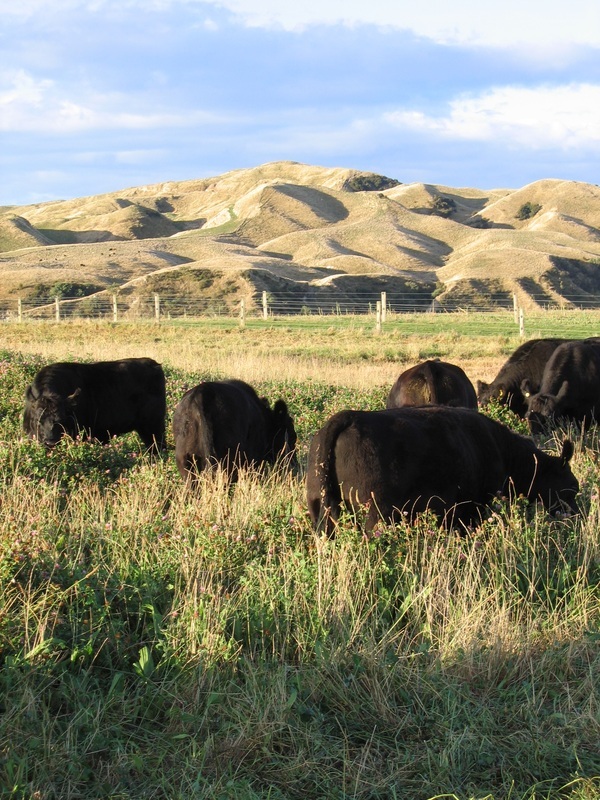 They stayed with their mothers nursing and frisking around until they were at least 10 months old and then they had a diet of high brix, multi-species pasture for four years. They weren’t given any antibiotics, chemical drenches or drugs. They were raised in the most natural and healthful way possible. As a result, their tallow is of extremely high quality and is a medicinal food as well as a skin healing agent. Truly Healthy Balm is created from the tallow of my 4 year old fully-nourished Jersey steers combined with organic olive oil for spread ability. It also contains a blend of anti-microbial and tissue growth-promoting essential oils and tinctures. And it smells great! Massage a small amount into healing wounds, sunburn, dry skin and heels, pimples, nappy rash, eczema, etc. Since it has no water or chemical surfactants, it will take a while to be absorbed. Be patient. This is literally skin care you could eat and it would be good for you. Remember you are absorbing into your blood stream anything you put on your skin. Make sure that what you put on your outside is actually good for your insides. Truly Health Balm is. Fiery but effective medicine cabinet in a bottle. Combines three of Nature’s most potent herbs – Cayenne, Echinacea and Garlic. Can be helpful for sinus problems, colds, flu, deep-seated infections, stomach upsets. Take several drops at the first hint of a bug and several times a day thereafter. Powerful antimicrobial action of Cayenne and Garlic combined with the immune boost of Echinacea. Cayenne has gut soothing properties as well. Good for all ages but dilute with water or honey for children as its hot taste lingers for 10-15 seconds. Natural de-stress and pain relief. Contains the aspirin-like plant biochemicals in White Willow bark and the calming components of St. John’s Wort. Can be helpful for discomfort in a range of situations, including teething and muscle ache. Helps to reduce cortisol production which aids recovery from injuries. Each order has a minimum $3.00 postage cost. Submit this order and you will receive a return email confirming your order, total cost (incl postage), and advising payment details.